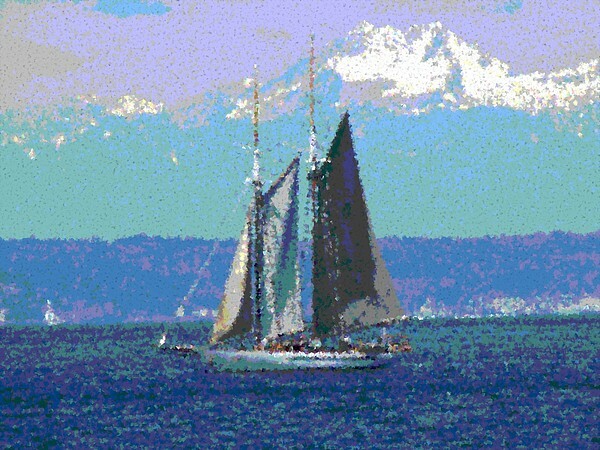 Tim - Amazing picture with the twin peaks of the olympics right behind the sailboat... really great. Love the mood. Very relaxing to look at. I like everything about this nautical image- very nice!! Stumbled.